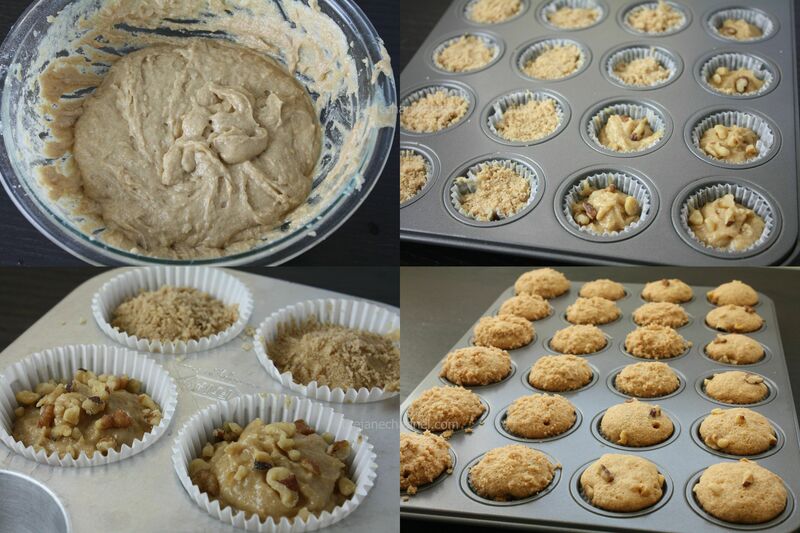 This Sunday afternoon, I made two different kind of Banana Muffins. I made some alterations to the original recipe using whole wheat flour, one less banana and less sugar. 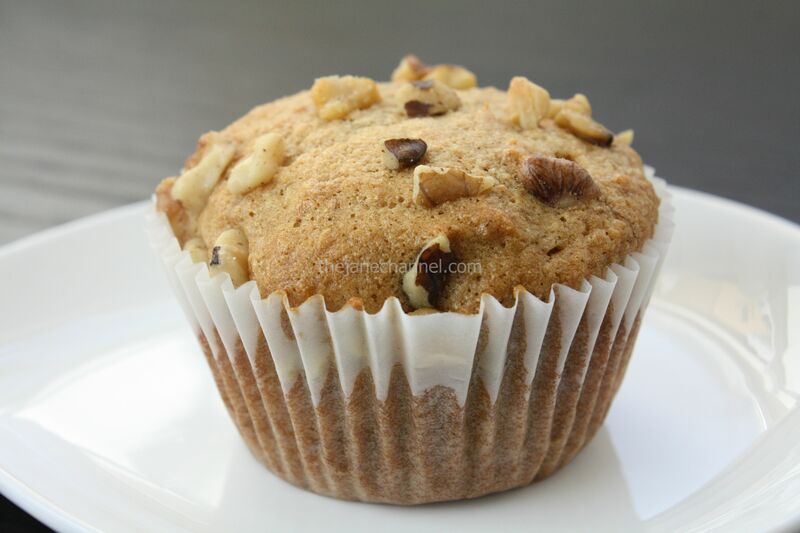 The first time I made these muffins, I thought they were too sweet and too moist. So this time, I used 2 banana and 3/8 cup of sugar. They came out just right for my taste! Mix together flour, baking soda, baking powder and salt. In another bowl, beat together bananas, sugar, egg and melted butter. Stir the banana mixture into the flour mixture just until moistened (don’t over mix!) and then fold in the baking walnut pieces. Spoon batter into muffin cups. Bake in preheated oven for 25 minutes, until a toothpick inserted into center of a muffin comes out clean. *Mini muffins takes about 18-20 minutes. I still think you should do a banana walnut bread. Haha.